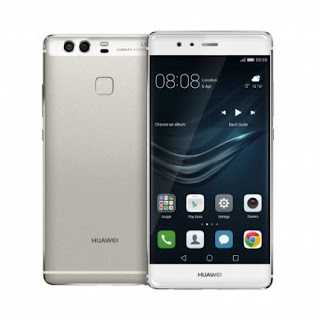 The Sri lankan leading smart phone company Huawei has announced that a singer which is the private National Dealer of huawei in Sri Lanka has a crossed one Billion rupees through the sales of Huawei smart phones only in the December in 2016. Huawei which is believable modern trade name among. people has promoted its sale by intensive marketing, introducing many branded smart phones and tablet in association with singer.The reasons for the popularity of Huawei trade name among the people are modern P9 and P9 Lite with Leica, dual camera middle kinds of 4G smart phone like GR5, GR5 mini, GR52017 and founder mental 4G smart phone like Y6PRO, Y6II, Y5II targeting the group of people who like advanced Technological smart phone. Mr Ashoka Peris the chief executive of Singer group of Sri Lanka mentioned as follow It's a great achievement for both singer, Sri Lanka and Huawei. I appreciate all the team members who paid more concentration and dedication to achieve is as private distributor since singer Sri Lanka partnership established. We could sell more than 500 P9 smart phones in December 2016, in Sri Lanka and he added that it was an appreciable achievement. It has changed as leading product among those companies, achieved ten million target and has exported P9/P9 Lite smart phones more than 10 millions internationally. It is a great target achievement according to Huawei in two angles that are product and trade name. It shows that the investments of Huawei in international market has benefitted and Huawei P9 & P9 Lite electronics have achieved appreciable results in higher honored division. Huawei introduces its products including leading technological introductions for the high and low level consumers to purchase it according to all their budgets. Singer has spread its distributive branches in almost all important cities by owning to make people aware the benefits of Huawei phones by having their. 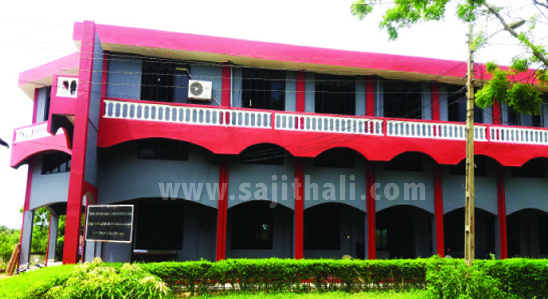 It has received the appreciation of begin leading trade name in not only the cities such as Gampaha, Kandy and Galle but also it has exposed good selling target in western province. The international awareness about Huawei trade name has been increasing with good target in market. Huawei company has been listed as the 72nd international trade name the best 100 valuable trade name published by inter brand in 2016. When compare with 2015, it has gone 16 places ahead and also Huawei has been listed on the 50th company in the best valuable 100 trade names published by Brand Z. It is considerable that 2015. it was on the 70th place. "With the aim of making the Huawei in the first place in this new year, in the production field we expect to achieve more than before" he said. In the current production field and non stop service of it in 2016. Singer company made the production aim to be perfect. To make Huawei famous among the public the singer Digital made it reach to them in a systematic way. Not only that but also with the relational perspective it way administered in the market. For the Sri lankan Huawei model's local administrate Mr.Henry Leyue shared his views on this victory as "we with our products in Sri Lanka made us to be in the foremost position with the felling of International role model of current technological field". The citizen of Sri Lanka are very much keen about the technological development where as they are very much expected to buy the products that are of good quality and etc. For the valuable costumers around the country singer Sri Lanka has worked with the keen of telling the wonderfulness of this product that made Huawei to be exhibited in the market. Furthermore it has been named as the best consumer electronic trade name listed by china trade name list-2016 with the appreciation of GFK consumer. Huawei has Occupied 30% of shares in Sri Lanka in accordance with the research of GFK. brand amongst the Smart phone users, worldwide. “At the end of December in 2016, its rapid and speedy growth has been well recognized as the top brand, which earned 30% Market Shares” Huawei’s management stated. The Huawei smart phones has reached top market in world over with its renowned brand, made possible by it’s unique features and technologies and the hard work as the driving force. It’s to notes that Huawei has been one of the popular brand and ranked No;40, in the world year 2017, as the results of survey conducted and listed by the Global 500 and Brand finance, the leading professionals in the field. In Sri Lanka, Huawei has had the partnership with the singer Sri Lanka, the most sellers of home appliances for Sri Lankan homes, with reasonable share holds. Since Huawei has initiated its business in Sri Lanka in 2012, Singer Sri Lanka. 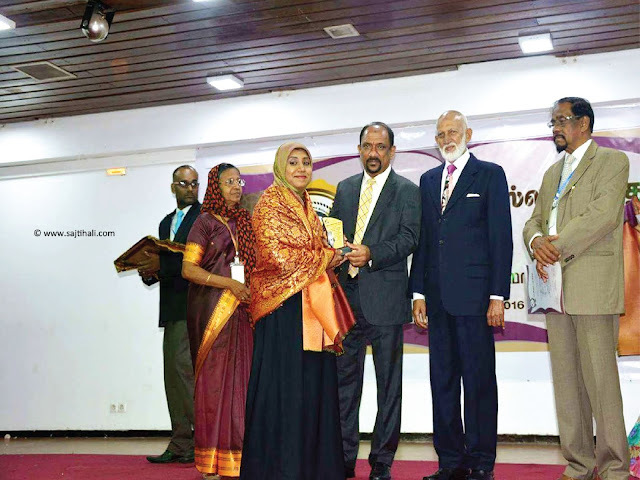 Has been supporting and guiding if, to build up its name among Sri Lankan publics in a very short period. A research about user experience conducted by GFK has revealed that Huawei has owned more than 30% of share market in 3rd quarter of 2016. Mr. Heury Lieu, the local Managing Director for Huawei for Sri Lanka has also stated that from the time in 2012. 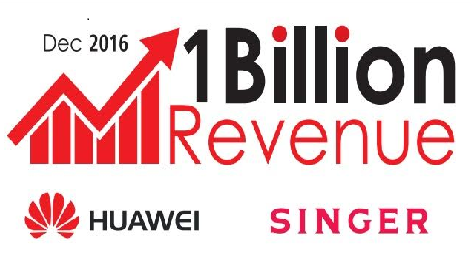 Huawei has earned high yield in Smartphone sales in Sri Lanka with the active share holding of the leading distributor Singer Sri Lanka. When compared to local competitors in smart phones, only the Huawei has been recognized that the most loved brand by the local users, with its specific features, technologies and great efforts of the human recourses. “As we home to provide best quality of smart phones, and to be at this top level, we hearty appreciate singer Sri Lanka for its contribution so far; Our journey towards success in 2017 is our vision and mission and this year will be more surprising and interesting for our supporters as well users. In order to expand our customer care services , the Huawei established Regional customer care service centers in Bambalapitty, Anuradhapura, Galle and Jaffna, advertising campaign simultaneously island wide. The Huawei believes that-further customer care service centers in Matara, Batticalo , Badulla and Kalutara be established, in supportive of its customer Database service in near future. 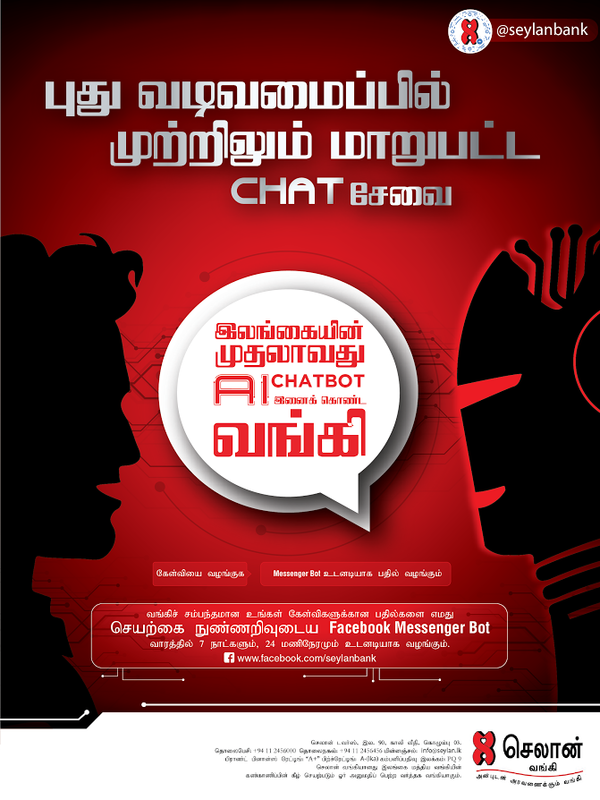 The leading Sri Lanka bank of seylan in the digital Field has introduced the mechanism which clarifies customers questions on the facebook messenger by the seylan messenger Chat Bot for the aim of establish digital customer care services. This new service has introduced for the purpose of answering basic bank service and financial questions. Currently, Our fans amount has been increased up to 500,000 and we have introduced " Seylan Seylfie" for youth saving account which provide digital interest and facebook bank service in 2016. Today, customers use the whatsapp messenger and facebook messenger. So, we have decided to upgrade our friendly customer service internationally with the 1 million customers all over the world through this new chart Bot messenger. Now, we are establishing our track through the customers satisfaction and we are derebping the customer friendly services. This is one of the digital innovation out of our other different introductions. As we are providing banking and financial services in the island, we have to enhance our customers participation in the social websites and new technological world. customers willing to choose the bank which fulfill their needs in the present digitalization services world. our director, chief executive officer Mr.Kapila Aariyeradne said that, we were provided flexible services for the customers to their daily usage sites. When the people engaged in our whatsapp and facebook messenger services, we have decided to introduce this service. we are establishing this service to recorded as one of the leading Sri Lankan bank forever on our 29th annual ceremony as our milestone at the moment. We are inquiring up to 100 cases through the digital customers care services daily. form this services daily. from this service we can save our time for clarify the complex questions than simple questions. for instance, If the customer wants to apply for the saving account, he could easily signup with relevant site through the messenger Bot. So, they no need to search the customer care center on the Google page telephone. Our deputy director of marketing Mr.Thilan Vijasegara said that, our multi disciplinary them has ready for hot answers immediately with the cooperation of our stake holders. There are few banks providing customer care services in the websites in the world. So, we are proud to join with this service . We have earn up to 1.5 million customer for the provision of friendly and flexible services. Our specific services are successfully running the relevant decision such as SME, Child Saving account , current account and credit card services. Furthermore, we are concerning our customers for their satisfaction services through our effective services in the island.